Boeing revealed its concept design for a hypersonic jet at an aeronautics conference and said the project could be launched in 20 to 30 years. The American Institute of Aeronautics and Astronautics conference in Atlanta this week saw Boeing unveil its first-ever concept of a hypersonic jet for military or commercial uses that could reach London from New York City in 2 hours. The passenger concept design presented is supposedly just one of several hypersonic projects the company's engineers are working on. The company said a timeline for the project could not be confirmed but that Bowcutt stipulated the vehicle could be launched in 20 to 30 years. The timeframe seems longer than the initial 10 to 20 years Boeing announced in a previous statement. 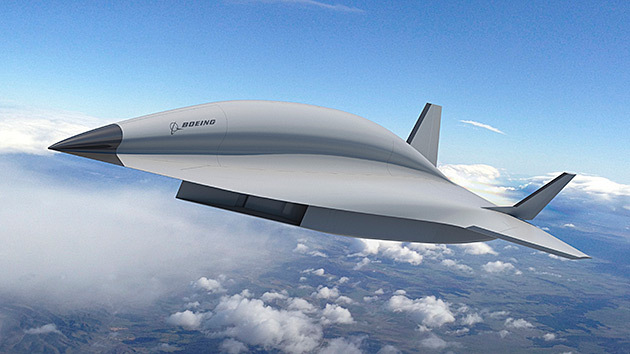 In January, Boeing revealed another concept for a hypersonic aircraft that could fly at five times the speed of sound. The design showcased at the AIAA SciTech conference indicated the model could rush across the world in one to three hours. This concept, however, was targeted exclusively for military purposes. “This particular concept is for a military application that would be targeted for an intelligence, surveillance and reconnaissance, or ISR, and strike capabilities," had said Bowcutt at the time. However, the expert had also revealed the model was not the only hypersonic project under Boeing's wings. “This is one of several concepts and technologies we’re studying for a hypersonic aircraft." Boeing began its journey to hypersonic development with the X-15 all the way back in 1956. According to Bowcutt, the company has led more hypersonic research and development initiatives than any other aerospace organization. Bowcutt, a member of the Boeing Technical Fellowship since 1998, is credited with having worked on NASA’s X-43A scramjet-powered experimental aircraft. The craft famously successfully undertook two hypersonic flights on hydrogen fuel. It was on this project that Bowcutt conceived of the breakthrough that would lead the way to the X-51A. “We went beyond the X-43A and proved the scramjet was a practical hypersonic propulsion system,” he said. It was then that Bowcutt set his eyes on a hypersonic airplane as his next goal. His concept would also include a reusable second stage that would effectively commercialize the vehicle. This dream is a long way from becoming reality but Bowcutt seems determined. “Not only did the X-51A fly, but it was a world first—and that was very satisfying,” he said.